For all of you are who land owners and developers, we have what it takes to turn your land that looks like a jungle, into a well developed piece of property. We have top of the line equipment, tractors, trucks and specialists to make it happen. 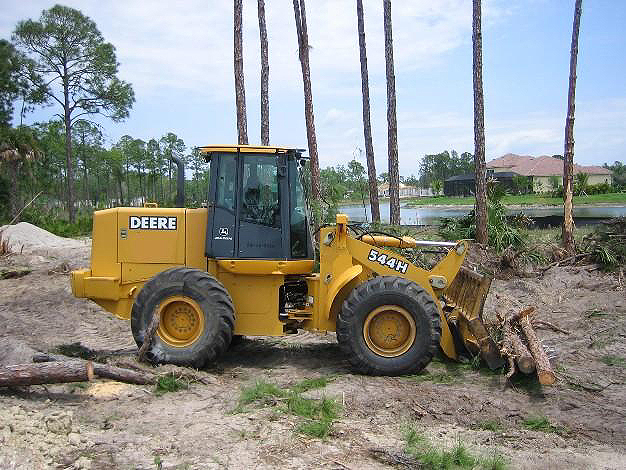 We remove trees of all sizes, bushes, shrubbery, and stumps so that you are able to sell your land or build on it. We also offer dirt excavation and grass land removal. If you need roadside clearing we offer that as well! We can provide you with the whole nine yards so that your land is in business. Land that is ready for development is worth a lot more than a jungle. Again, Tree Service Spokane is fully bonded and insured. It is ﻿important﻿ that our customers are at ease and know this since we generally fall a lot of large timber. No need to search for anyone else for your lot and land clearing in Spokane. We offer the highest quality of service along with the most affordable prices! CALL US TODAY TO HAVE YOUR LAND CLEARED!